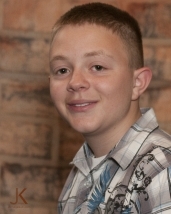 Gordon McKnight (Charlie Brown) is a sophomore at Bishop Rosecrans High School. His theatre career began in second grade when he portrayed a munchkin in The Wizard of Oz at the Cambridge Performing Arts Centre. He has since had many roles there, including Flick in A Christmas Story and Sultan in Aladdin. He has also performed in plays at his high school and the Living Word Outdoor Drama. Gordon made his debut at the Zanesville Community Theatre as a chorus member in Sweeney Todd: The Demon Barber of Fleet Street. Gordon plays high school soccer and participates in Mock Trial and Student Council. He sings in the St. Benedict Church Choir and directs, accompanies on the piano, and sings in the Rosecrans High School Church Choir. He lives in Cambridge with his family. Riley Perone (Frieda) is a freshman at Maysville High School. I have been in one musical with ZCT, Oliver!, and a few with my church and school. I have been taking vocal lessons for about a year now. I also enjoy spending my time taking pictures and reading. 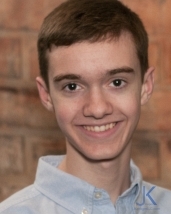 Matt Wagner (Linus) – Matthew Wagner is a sophomore at Bishop Rosecrans High School where he participates in Key Club, Quiz Team, Campus Ministry, Choir, Drama Club, and Pep Club. Playing Linus is Matthew’s first role at ZCT. He has been in several school productions and his credits include the Scarecrow in the Wizard of Oz, Peter Pan, the Mad Hatter in Alice in Wonderland, and various roles in Rosecrans Drama Club productions. Matthew studies voice and recently received a Superior rating at solo and ensemble contest. 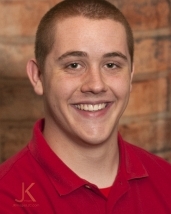 He is an honor roll student and is active at his church, serving as an altar server and music cantor. In his spare time, Matthew is a black belt in Kenpo and is an aspiring author and artist. Matthew lives with his parents Brian and Christine, his extraordinary little sister Lizzie, and his attack cat Tommy Gunn. Maddie Ellsworth (Little Red-headed Girl) I am 13 years old. I am a 7th grader at East Muskingum Middle School. I enjoy going to Sparks Improv at Power House. This is my first production and I’m super excited. Cary Underwood (Lucy) grew up with the theater. She got her first major role when she was seven and played Lucy in The Lion, the Witch and the Wardrobe. Since then, Cary has performed in several other musicals including Annie, Oliver, Singing in the Rain, and Sweeny Todd: The Demon Barber of Fleet Street.Cary will be a junior this fall at Bishop Rosecrans High School. There she is involved in choir and drama club. In addition to the performing arts, Cary is a black belt in Kenpo. 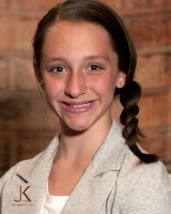 Madeline “Maddie” Foreman (Marcie) is a 6th grader at Zanesville City Schools. 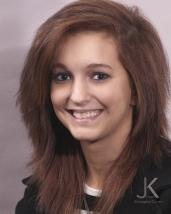 This will be her third musical production with the Zanesville Community Theatre. 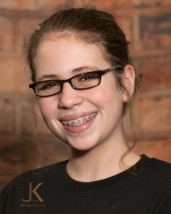 Madeline’s previous acting experience with the ZCT includes the role of July in the musical production of Annie and a pickpocket in the musical Oliver!. 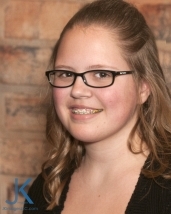 Maddie was also cast with the Children’s Theater, Zanesville, in the musical Children’s Letters to God. Along with her love for acting and singing, she is also involved in dance and gymnastics. 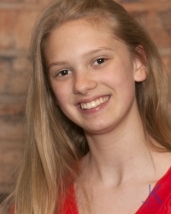 Reagan Wasileski (Patty) is fifteen years old and is an honor student at Maysville High School where she will be a sophomore next school year. She is involved in 4-H, drama club, aspirations team, choir, honor’s spanish, and church youth group. 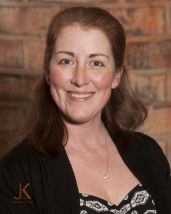 She has had extensive experience with various theatre and choir productions. Her theater career started in third grade where she portrayed the part of a narrator in her Elementary’s production of the Emperor’s New Clothes. Other productions have included church musicals such as Roamin’ through Romans, A King is Coming, and Sermon on the Mound. A few roles in school plays and musicals she has delineated include Annie in Annie Jr., Lily St. Regis in Annie Jr., Tallulah in Bugsy Malone, Stephanie in Promedy and Louisa in The Sound of Music. 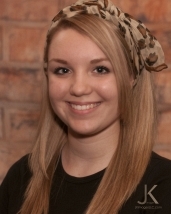 She also appeared in Children Theatre Zanesville’s production of Sweeney Todd: The Demon Barber of Fleet Street. She hopes to continue with ZCT in future musicals and improve as an actress and singer. 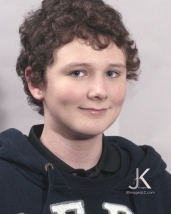 Aiden Ellsworth (Pig Pen): I am 12 years old and soon to be a 6th grader at East Muskingum Middle School. This is my first time being part of a production at ZCT. I enjoy coin collecting, annoying my sisters and being the awesomest person ever known to mankind. Hi, I am Cheyenne Frank (Sally). I am thirteen years old and in 8th grade. I am also in 4-H and dancing. This is my second time in a play outside of school. I am happy to part of this musical. 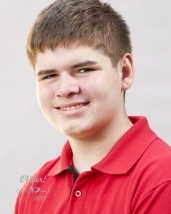 Noah Townsend (Schroeder) is a freshman in high school and is very excited to be playing the part of Schroeder. 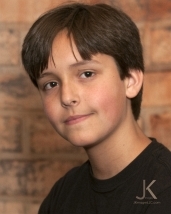 Noah has enjoyed acting in previous productions including the role of Charlie in Charlie and The Chocolate Factory, Kurt in the Sound of Music and Mr. Beaver in The Lion, the Witch and the Wardrobe. In addition to the theater Noah also enjoys coin collecting, computer programing and his church youth group. Noah has loved the Peanuts comic strips and movies for as long as he can remember and is grateful for the opportunity to be able to act out the part of one of these classic characters. Hello my name is Tyler White (Shermy). This will be my third play. I also had a role in Annie here at ZCT. I am playing Shermy. Some people have told me if I were a Peanuts Character I would like him. Hi, I’m Sandra Bugglin (Violet) and I love theater. I’ve been in two other plays, Annie and The Angel Tree Benefit. I’m very happy with my part, Violet, because I think her character relates to my personality. I hope that some time I can come participate in another ZCT theater production. Val Gahagan (Co-Director) – Val was pulled out of the audience and onto the stage 9 years ago while with her children at auditions. While it was one of her least favorite roles, it was the beginning of a new adventure. She usually shares the stage with one or more of her 7 children, but her two favorite roles, which her children had to enjoy from the audience, were as Abby in “Arsenic and Old Lace” and Maud in “The Ladies of Harmony”. She has been a homeschool mom for the last 15 years and wife to a very supportive husband, Jerry, for 22 years. When not at the theater, she is usually at ball games, music lessons, church activities or spending time with her family. If she had spare time, she’d probably be found reading a book, doing some stained glass, or jaunting off to visit her oldest at Camp Lejeune (which is conveniently located very near the beach). I fell in love with The Peanuts in elementary school and at one point had quite a collection of strips cut from newspapers and taped into a couple of scrapbooks. I was once quite excited to order a book from the school Scholastic order form, expecting to receive a collection of Charles Schultz’s comic strips, and being quite disappointed when I instead discovered a play that made little sense to my elementary school mind. It would be years later when I discovered the fun treasure I’d stored away all those years–a copy of “You’re a Good Man, Charlie Brown.” There is so much to appreciate about the Peanuts gang, but for me, I love the simplicity that is theirs and the deep value of friendships. I have had the privilege of working with an incredible cast of young people. Not only are they incredible in talent, but also in work ethic and enthusiasm for putting on a great show for you. I also have the privilege of a great crew–extremely talented musicians, choreographer, lighting technician and producer. Perhaps the highlights of working on this show, however, have been working alongside my daughter as she stage manages her first show and directing with one of my closest friends. I hope you enjoy watching The Peanuts gang come to life as much as we’ve enjoyed the process of bringing them to ZCT’s stage. 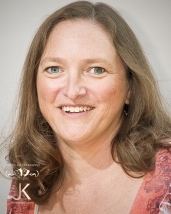 Angel Palmer (Co-Director) – I have been involved with Zanesville Community Theater for 13 years, both onstage and off. Having been stage manager, producer and assistant director, I thought it was finally time to add Director to the resume…and what a wonderful show to have done that with! I have had the pleasure of co-directing this show with one of my best friends, have gotten to watch a our stage manager grow into her headset and been amazed on a daily basis at the talented youth that this area has been blessed with. I know you will enjoy watching this show as much as we have enjoyed preparing it for you. Co-Director’s Notes: – Happiness is…? That is a question that we should all ask ourselves on a daily basis. What is our happiness, and how do we find it? This show explores a day in the life of a little boy and his friends, and shows us that true happiness in not in our possessions, but in the friendships that last and endure. When I first started to work with the production team to cast this show, I thought, “Wow, we are going to give some kids the opportunity to shine and show how talented they are.” I foolishly thought that I was going to be able to teach them a few things about theater and they were going to come away better for having gotten to work with me. Little did I know that I would be the one who would be changed and blessed for being allowed to work with such an amazing group of young people! What started as a group of kids staring at each other over scripts and musical scores has turned into a family who encourages each other and holds each other up throughout the best and worst of days. I can honestly say that my happiness is being allowed to work with, and be impacted by, this amazing next generation that we are raising up! John Pollock (Musical Direction) – John R. Pollock is a 2010 graduate of Muskingum University where he studied Music Education. 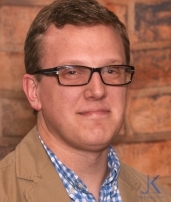 Currently John lives in West Lafayette, Ohio and works as a General Music Teacher for Ridgewood Local Schools and as a 21st Century After School Teacher for Muskingum Valley Educational Service Center (Ridgewood Middle School Branch). 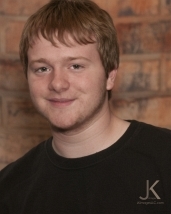 John made his debut at ZCT in the production of RENT where he played the role of Collins and was a director the following year for Next Fall. Some other shows he has performed in/directed include: Oklahoma! (Cord Elam), Where’s Charley? (Wilkinson), Stone Soup (Rocky), A Christmas Carol (Fred, Undertaker’s Man), You’re A Good Man, Charlie Brown (Schroeder, Linus, Director), Trial of the Big Bad Wolf (Town Crier), Les Preciese Ridicules (La Grange), The Music Man (Mayor Shinn), Anything Goes (Music Director), and Joseph and the Amazing Technicolor Dreamcoat (Asst. Music Director). This production of You’re A Good Man, Charlie Brown will be John’s fourth time of doing this show! 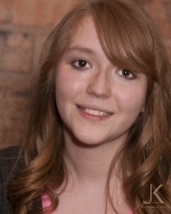 Ashley Krieger (Assistant Musical Director) – Ashley is originally from Bellaire, Ohio. She studied Music Education at Muskingum University with a concentration in vocal performance. 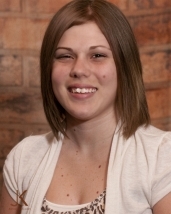 Upon graduating in 2008, Ashley began her career as a K-7 music teacher for Crooksville Schools. She loves helping students discover and strengthen their musical talents. Ashley feels this young cast is a great representation of the wonderful music programs in our local schools and church communities. She has enjoyed working with the cast and production team and hopes you enjoy this production of You’re a Good Man Charlie Brown. 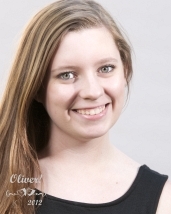 Mackenzie Newsom (Choreographer) – Mackenzie is a 19 year old freshman studying Early Childhood Education at Ohio University Zanesville. 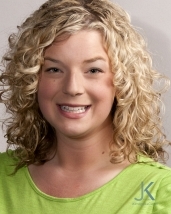 A graduate of West Muskingum High School, she has performed in productions of Schoolhouse Rock Live! Jr. and Into the Woods as Rapunzel. Mackenzie danced competitively ages 8-18 and has been teaching both competitive and non-competitive dance classes since age 14. She enjoys dancing, performing, teaching, spending time with friends, and exploring different things. Though she has taught dance for many years, this is her first musical she has choreographed. Mackenzie would like to thank all who have supported her, and she wants to wish the YAGMCB cast good luck and “break a leg!” She hopes you enjoy the show! Marynell Townsend (Producer)Marynell Townsend is a new member to the production teams of Zanesville Community Theatre. Having been a “theater mom” the last seven years at Zanesville Community Theatre, The Renner, Cambridge Performing Arts Center and The Living Word Outdoor Drama, she cautiously agreed to try her hand as Production Manager. In her other life, Marynell enjoys time with her husband, five children, one dog and two bunnies. Her personal passion is giving voice to the needs of foster, adoptive, and kinship families of Ohio and the precious children they serve through Ohio’s Child Welfare System. The cast and leadership of You’re a Good Man Charlie Brown have been a delight to work with and Townsend is excited to see the finished product of this wonderful, heartwarming family comedy. She believes live theatre is a wonderful place to watch talent and stories come to life in the most unexpected and inspiring ways.